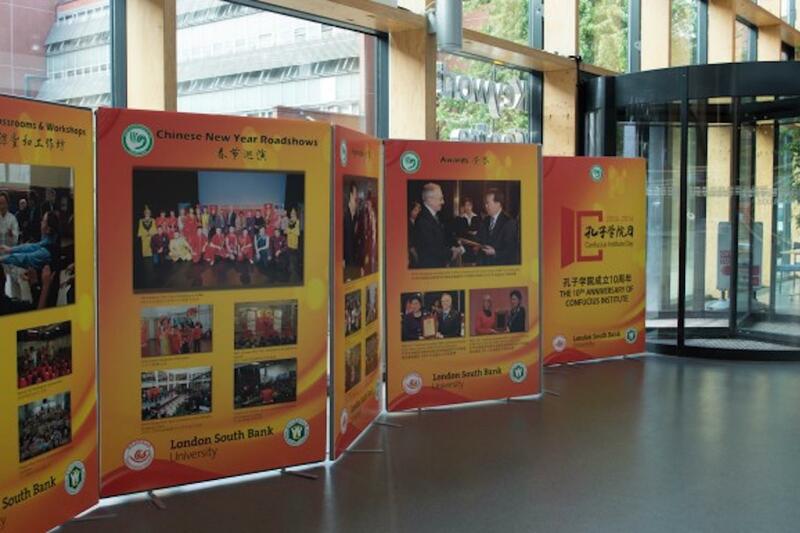 London Confucius Institute for Traditional Chinese Medicine (CITCM) held a photo Exhibition to celebrate the Hanban 10th Anniversary. 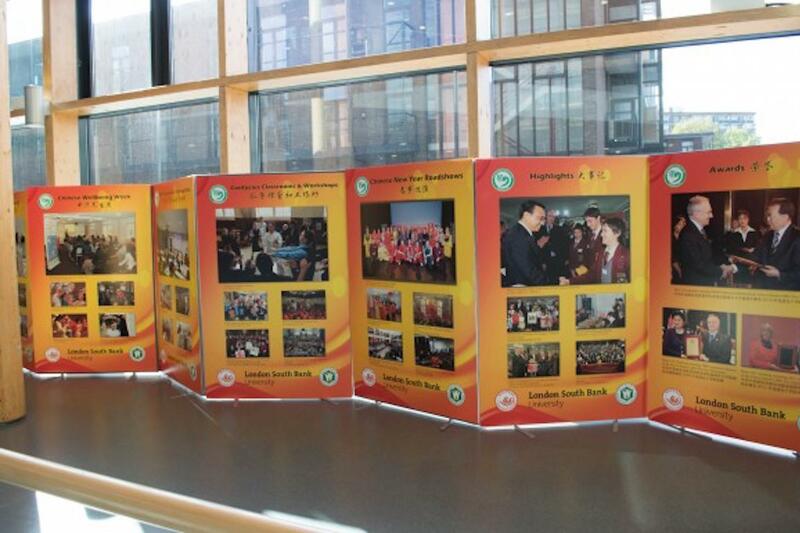 The Photo Exhibition was held from 6th to 9th October 2014 at Keyworth Centre’s ground floor. 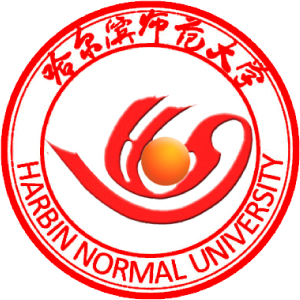 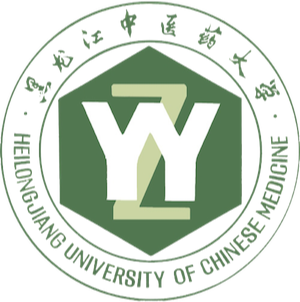 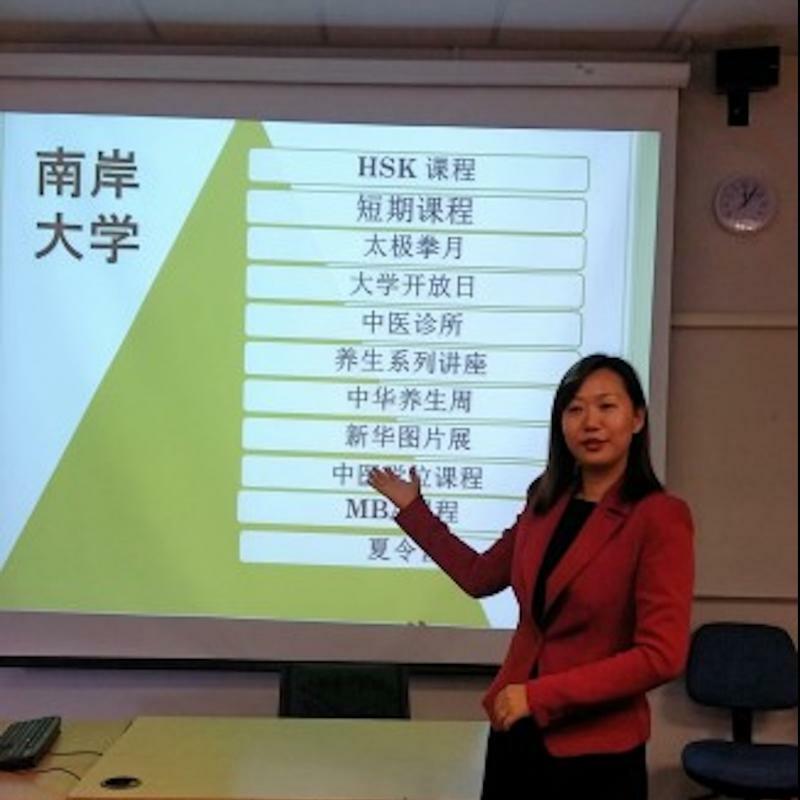 The exhibition includes CITCM’s achievements in YCT and HSK promotion, school and community outreach, culture workshops, TCM Acupuncture courses, Chinese New Year Roadshow, Chinese Wellbeing Month and so on. 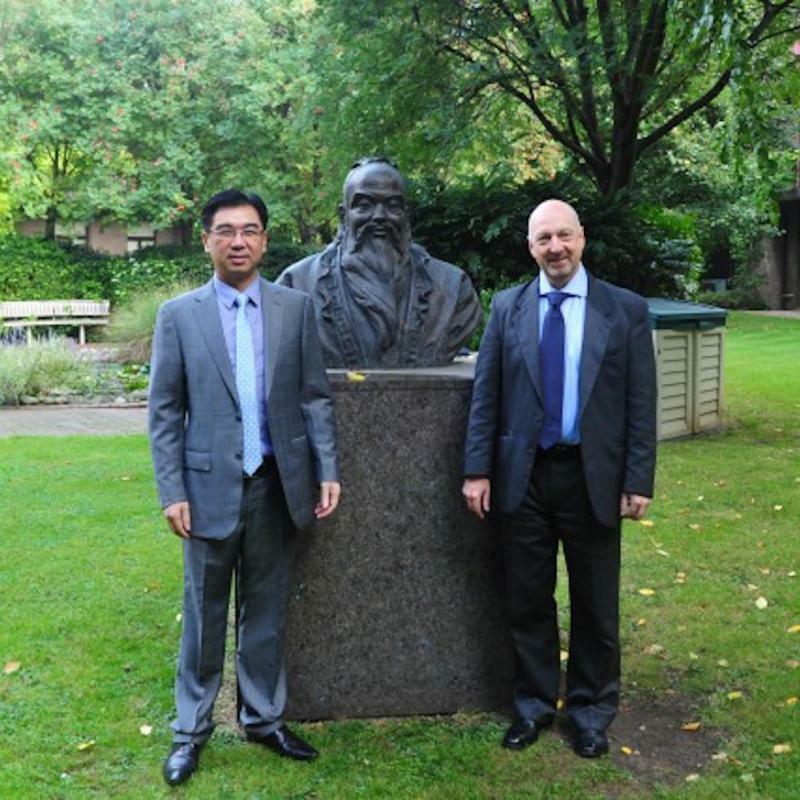 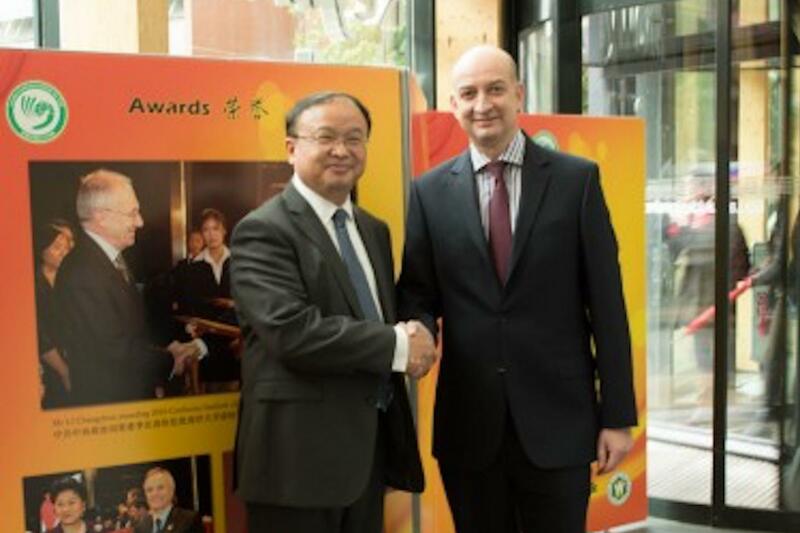 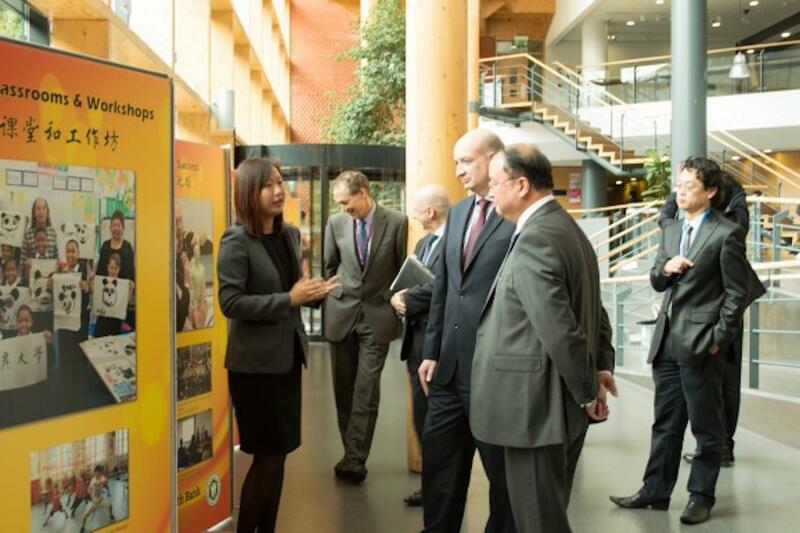 As invited by the LSBU’s Vice Chancellor Professor David Phoenix, the Minister Counsellor Shen Yang from the Chinese Embassy visited LSBU and CITCM on 8th Oct. Minister Counsellor Shen also visisted CI’s Achievement Photo Exhibition and spoke highly of CITCM’s work.